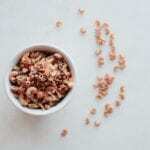 Pure Dog Food: What The Dogs Eat When We Travel - Where's The Frenchie? 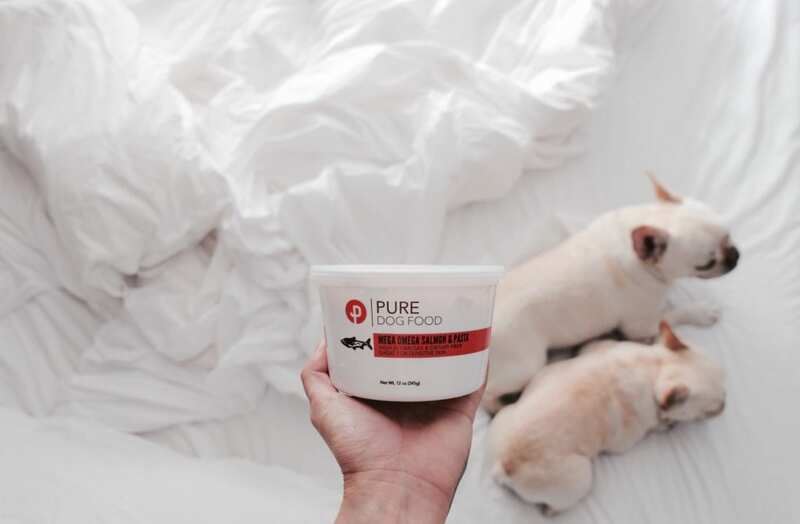 Pure Dog Food is usually our food of choice for the pups at home so when I found out they also ship nationwide, I was pumped! We were in NYC for over two weeks, so that was the perfect time to ship over a bunch of food. Delivery is free for Los Angeles area but I was a little worried it would be pricey for Overnight shipping to NYC but to my surprise it was less than $50. Shipping charges vary by how many you buy etc (for example: shipping for 3 quart size containers of food is less than $33 cross-country). 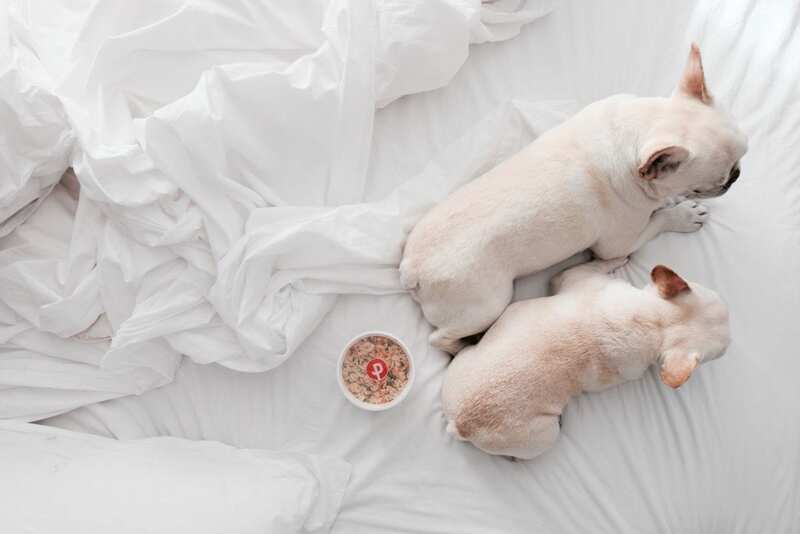 A quart size has about 4-5 meals, depending on the size of your dog. You can order a la carte or do a subscription and get it delivered every 1, 2, 3 or 4 weeks. 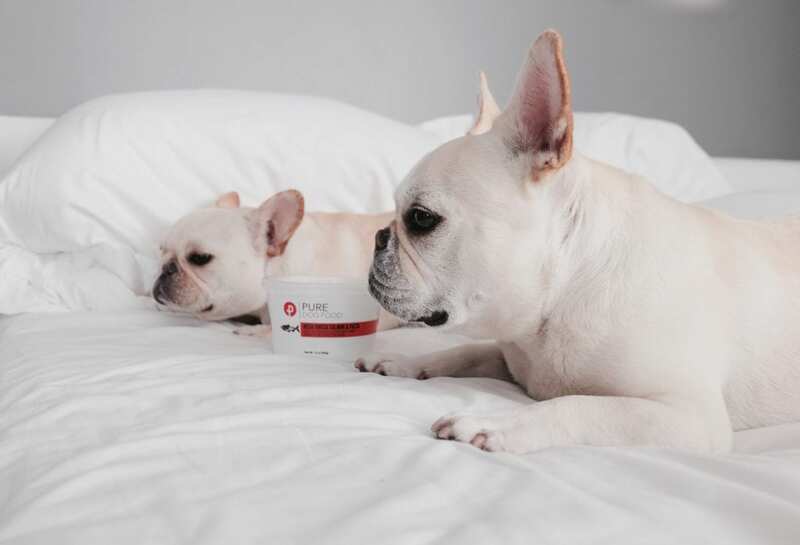 Make sure to use our promo code: wtfrenchie to get $20 off your first order. 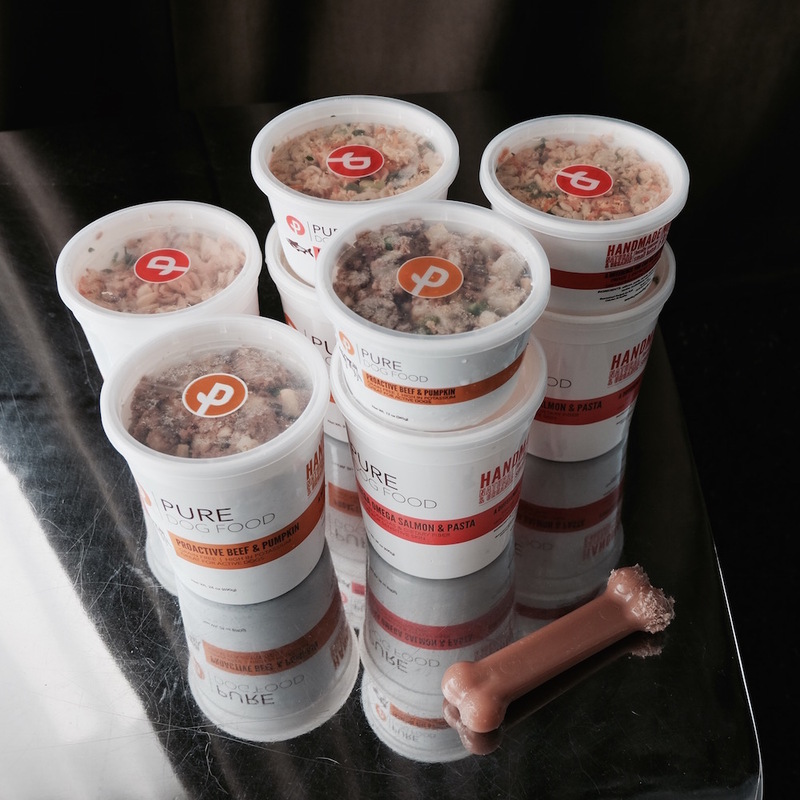 The pups’ fave meals are Salmon with curly pasta (it’s seriously pretty) and Beef and pumpkin. 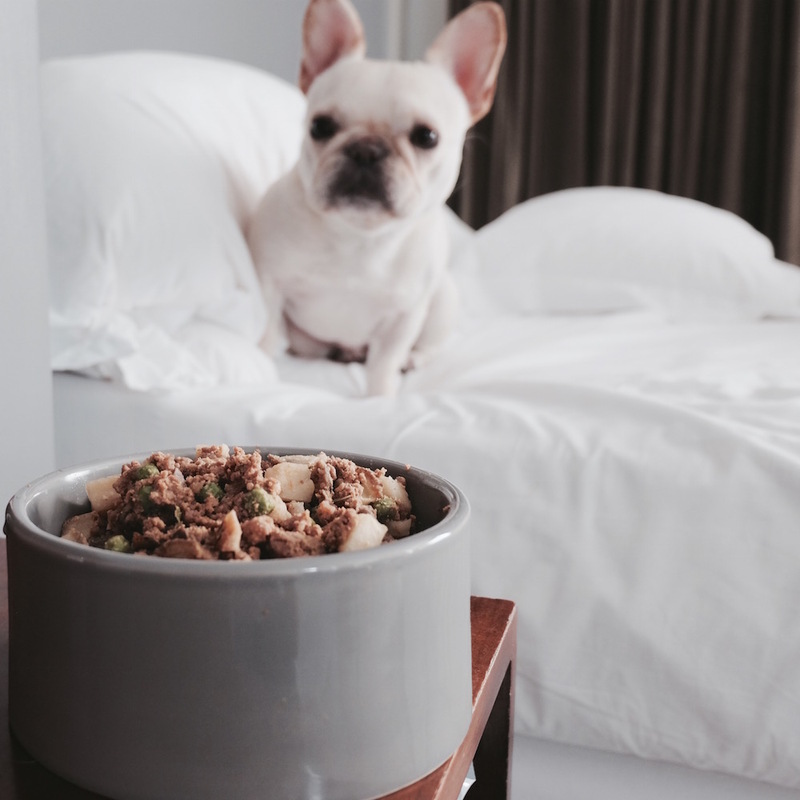 It’s all cooked with all-natural ingredients so it actually smells + looks like FOOD–not dog food. 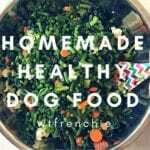 It’s all nutritionally balanced and the dogs love it!